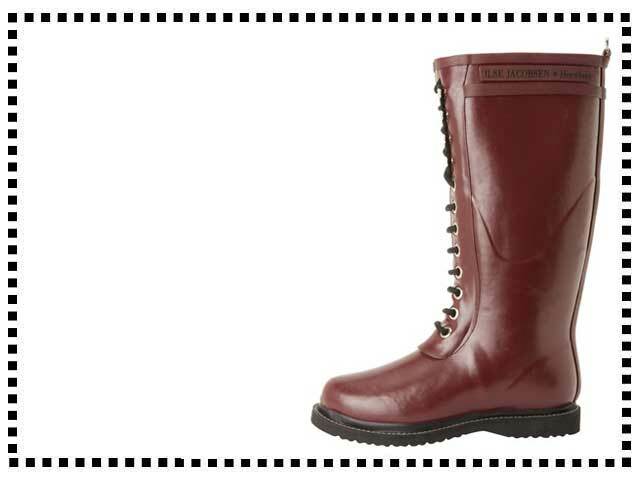 The rub from Ilse Jacobsen is a military styled, fleeced lined, front lace up 100% rubber Rain Boot. I love everything about these boots. I have quite large calves and these lace ups are the perfect solution. They look really stylish and are super comfortable. Beautiful. I love lace ups, more stylish than the usual rain boots. Lovely cozy lining as well. Love them. Expensive but well worth it. If you are after a pair of rain boots and these are in your price range – buy them! I have been looking for a pair of lace up waterproof boots for a while and these are the best I have seen. True to size and you can adjust the laces for the perfect fit. I treated myself to a pair of these boots. They are a bit pricey but I am absolutely delighted with them. I love the color and the fit.